In this episode we answer the question, “How can I make EFT part of my daily routine?” in this interview with Rick Wilkes where he shares how to heal effectively without excessive emotional highs and lows. Show Topic: While it is true that there are some issues that can be resolved very quickly, most healing happens over a period of time. In this episode EFT expert Rick Wilkes and I reveal how we work this healing process without going too far, too fast. We believe that moving to peak experiences too quickly can result in an emotional crash, much like the crash that follows a sugar high. Rick succinctly explains how we can move up the emotional scale steadily, ensuring that we create a strong emotional foundation to allow us to thrive on a long-term basis. 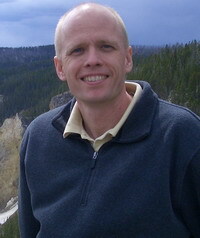 Bio: Rick Wilkes is an EFT practitioner based in Morgantown, WV. Over the last six years Rick has worked with over 1500 clients. He works regularly with individuals and with his Thriving Now Groups. What a great call! The information on how to make EFT a regular practice is so simple. No more excuses for anyone. I look forward to listening to the next call. Great interview with rick. I like his theroy life.